You’ve done the research. You’ve read the blogs. You’re prepared. Now, it’s time to launch your business. But as you take this giant leap, you just might fall victim to a fatal piece of “how to market your business online” advice. You might make a mistake that could cost you a lot of time and money. And it wouldn’t be your fault. Because all you’d be doing is following a popular piece of advice that’s just downright, well, wrong. This is the typical cliche about how to market online that you hear from bloggers and online marketing experts all over the web. And it sounds like a good idea, but it’s terribly misguided. The idea is this: the world is full of advertising messages that people are tired of hearing. So the way to get noticed is to set yourself apart by targeting a unique segment of the market, some special group that has gone unnoticed. And when you do this, once you connect with those people and make them matter, they will pay you money. They’ll buy whatever you have to sell, and you can make a fortune. Sounds good, right? Maybe too good to be true? And that’s the problem. But what is a niche, really? Shallow recess? A hole in something that doesn’t go deep? Sounds about right. But what do these descriptions say about people’s dreams, desires, and hopes for their lives? What does a hobby say about a person’s perspective? Do you see the problem here? A niche is a shallow way to look at a group of people. But what’s the alternative? Isn’t this the best we can do? Isn’t this the way we’ve been told to market online and build a successful business? Isn’t this what the gurus do? Let’s look at a more traditional company that has achieved worldwide success with a less-than-traditional means and see if the niche argument holds water. On the surface, you might think that Apple has become one of the most successful, highest-grossing companies in the world by identifying with a powerful niche and leveraging the power of that connection. After all, aren’t all Apple users hip, young, urban dwellers? Well, no. My mother-in-law has a Mac, and my dad used to run his restaurant with an iPhone and a Square card reader. And I’m pretty sure there’s someone in your life who doesn’t fit the stereotypical hipster vibe, either. So what’s the power behind Apple, if not a niche? They spend a fraction of the marketing dollars their competitors pay and still manage to stay at the top of not only their market, but the world. What makes them so special? Misfits? Rebels? Troublemakers? Does this sound like a niche to you? What makes Apple’s message so strong is not that they targeted a niche. They did something smarter than that. They focused on a worldview. A worldview, in case you don’t know, is the way you view the world. It’s a paradigm, a global perspective, a personal ethos. In short, it’s your values — what makes you, you. And the funny thing about worldviews is that we think they make us unique. “You are one a million,” our parents used to tell us. They meant it as a nice way of saying we were unique and special. And maybe it actually meant something in 1959, but now that the world has more than doubled and there are more than 7 billion people on this planet, all of a sudden “one in a million” stops sounding so special. I’m not great at math. So correct me if I’m wrong here, but in a world of 7 billion people, you being one in a million means that there are seven thousand people out there who are just like you. So, you see, instead of focusing on some random special interest group that you may or may not have anything in common with, what if you did something truly revolutionary? What if you wrote for yourself? What if you were your target audience? What if you built the kind of business that you would want to buy from? Lots of folks have done it, including Basecamp (formerly 37 Signals) who built one of the most popular project management tools online. Why did they do it? How did they succeed? They built something they wanted. 37 Signals was a group of designers who built websites for companies. They got frustrated at the lack of organization tools out there to help them manage the multiple projects they were working on for their clients. So they decided to build a solution that worked for them. In fact, every time they faced a problem, that’s what they did. Then they started sharing those tools with clients and saw how much others enjoyed using them. Pretty soon, they realized they had an entirely different business than that of a web design firm. All they did was see a problem, fix it, and find others who felt the same way — in other words, who shared their worldview. Right about now, you might be thinking: all this talk of worldviews and big companies is interesting, but what does this have to do with me? Do yourself a depressing favor and Google whatever it is you would like to do for a living. Take your blog topic, your book title, your great big idea, and search for it on the interwebs. Chances are, someone’s already had that idea. Someone’s already doing what you want to do. Frustrating, isn’t it? An overcrowded market is a sign of demand. It means people want that thing, that service or product or whatever it is you have to share. And that’s not bad news at all. 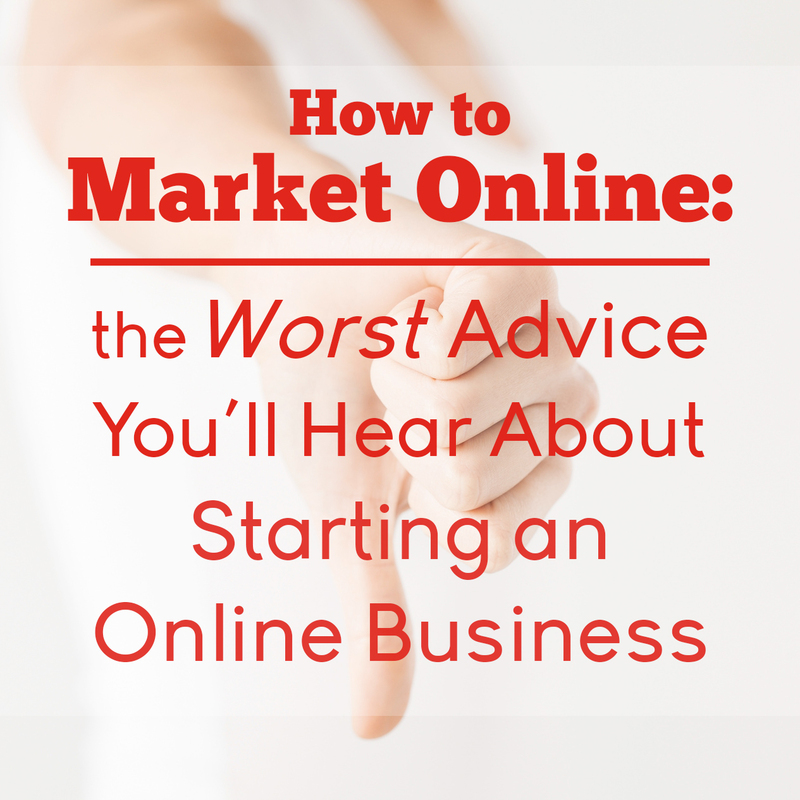 The challenge is how to make yourself stand out in such a market, and figure out how to market yourself online. Find your worldview by answering one simple question: “What makes you mad?” What irks you? What can you just not stand? This is an indication of something you’re supposed to fix; it’s a sign pointing to your unique purpose. Take Firepole Marketing, for example. They can’t stand sleazy, slimy, pushy marketing. So they are all about one thing: letting people know there’s another way. Write a short statement of purpose about why this thing is wrong with the world and what you can do to fix it. Publish your manifesto and give it away for free, sharing your message with anyone who will listen. Connect with other people who feel similarly. These are advocates who can help you reach more people. Through guest blogging and webinars and meetups, your reach will begin to grow exponentially because of the people who now champion your work. Once you’ve built an audience of people who care about the same things you care about, who get frustrated at the same injustices, ask them what they want. You can do this through a blog, on Facebook, or by conducting a survey ( my favorite). The point is to find out what need people have that you can serve. Build something. Whatever it is that people want, create it. Maybe it’s a product like Basecamp. Or maybe it’s an experience, like the Audience Business Masterclass. Whatever it is, it needs to not just be your idea, but something that people want, and that they’ve been asking for all along. Does this work? It absolutely does. And it is, in my experience, the smartest way to build a business in an overcrowded market. Don’t look for a niche; find a worldview. If all that sounds overwhelming, just do this: start writing. Write for yourself — do it honestly and vulnerably, in a way that shares your biggest hopes and frustrations. And see who connects with it. A great place to start is with that manifesto. Because regardless of what the gurus say, if you don’t have an audience, if people aren’t listening to you, then you don’t have a business. You just have a good idea. So I want to hear from you: What’s your worldview? Share it in the comments, along with an idea for a manifesto you could write. Jeff Goins is the best-selling author of Real Artists Don’t Starve and The Art of Work. You can find him on Twitter @JeffGoins. Now I’ll try to find my way to make that worldview a real thing, but what would be the next step??? Hi Luis. As I mentioned in the post, the next step is to write a manifesto. I really needed to read this today. The biggest struggle I have is identifying my niche — when really what I know is what my worldview is. What makes me angry? When people act as if they can get along without math in their lives. What makes me happy? Watching someone realize that they do have what it takes to do the math they need for work and their personal life. This has long-reaching implications — from how we teach math to how we talk about math (to girls in particular). It’s not about the math, per se, but how people feel about it. I do have a manifesto, which appears on my home page. Next step is to figure out how to build my audience and make a living at this. Loved your post. I’m one of those people who go through life hoping they won’t have to count more objects than fingers on their hands. I still have nightmares about having to do math at school. I avoid anything to do with numbers. And frankly, it disables me. Yeah, I wish there WAS a program that helps you to learn math easily. Is it possible? I don’t know, but I support you in your effort. Actually, there is, tho’ I second the comment further down about you pouncing as well. Colin Beveridge speciallizes in making maths accessible to the rest of us. http://www.flyingcoloursmaths.co.uk/ is his site – he also has several books out – Amazon UK for sure, and quite likely the US Amazon as well. I want to support Griffin Garcon in what he told you. I too support you in your effort. I am one of those girls, who when I was very young and in the first grade, loved math and was a genius at it. Then, I don’t remember what happened but something in the way the teachers started teaching me Math, made me scared of it and convinced me I wasn’t good at it and I “lost” all my talent for it. For years, I bought into the self-limiting belief that Society inputted into my head that Math is for boys, not girls. I just accepted my helplessness with Math as normal for my gender until I saw the same exact thing happen to my sister and then, I slowly but surely, came into some awareness that math illiteracy in girls is not normal. Like Griffin Garcon, I also wish someone would create a program that lets you learn math easily. I hope that you are the person that makes that possible. I got excited when I read your post and I hope you take the writer’s advice and go out there and dare to teach us math. Like Griffin Garcon, I also want to stop using my fingers to count. Make it possible for us, Laura. Your audience is out there, waiting for you! Wow. Such a better answer to the eternal question! Thanks so much! And very timely for me since I’ve been dragging my heels about this very topic, needing this very light shed upon it before I could proceed. Jeff, perfect timing! You are so right about this niche approach not working. I have personally experienced this! I launched my business last year and just really launched my blog a few months ago. This issue has been tormenting me. I had a long conversation with my husband about identifying my main message and building on that…not focusing solely on who my audience is. If there are seven billion in this world, and you are “one in a million,” then that means there are 7000 people out there who are JUST like you. So when you write for yourself, when you create a product only you would want to use, you’re really doing something that’s NOT just for you. Being true to yourself is one of the best ways I’ve found to build an audience, and eventually, a business. Thanks Jeff for such nice article, It’s just changed my angles to view Niche vs Reality of inner passion to go ahead. Regards. Nice article that presents some interesting ideas. I particularly like the concept of “world view” versus “niche”. I’m pretty happy with the niche I’d like to initially target, but I don’t plan to stay extremely focused for a long time. My audience will naturally broaden over time. In fact, my topic and what I want to offer is so attractive to so many different types of people, that I’ve repeatedly had people almost get upset when I mention my target audience. They keep telling me that I’m being far too narrow, that there are tons of other people outside that niche that would love it, too – including them! I tell them I wouldn’t turn them or other folks away, but somehow describing a “niche” that doesn’t “include” them makes them feel excluded. It’s kind of strange to be struggling to focus down to a “niche”, only to have most people I talk to keep trying to broaden it before I even get very far with it! But, on the other hand, I can’t market to “everyone”. So, now I need to consider if a “world view” would be more helpful to me than a super narrow “niche”. Good article. Really I think you are talking about developing a manifesto, though manifestos have gotten a black eye from the crazies out there. Think about writing a manifesto for yourself and you will have pretty much your world view setup for yourself. Excellent, Mike. I agree that manifestos have gotten a bad wrap. Thanks for this great resource! I will check it out. I also hate the word ‘niche’ but I do think that focusing on your Ideal Customer is the path to a host of raving fans. I love the worldview focus. I’m rebranding right now to a company with the tagline “business plans for non-conformists”. I want to focus on the rebellious, rule-breaking worldview as well – people who don’t fit the mold and are launching into entrepreneurship so they can be their authentic selves (but they’re scared, so they need some sort of plan – and that’s where I come in). Apple doesn’t have a niche, but they did build a cult-like group of early adopters who are their Ideal Customers, and then the people who share some of those characteristics also want in. I’ve thought about writing a manifesto but haven’t been compelled to write on a certain topic yet…but when I do, it’s going to be pretty ‘non-status quo’. You’re absolutely right, Jessica. Apple is a great example of finding a tribe. And I like the way 37 Signals did it: by creating something first for themselves. I think you’ve got a GREAT worldview, btw (“businesses need to think outside the box”). Can’t wait to hear more. Jeff, I was visibly moved by the content of your article. Finally someone who thinks out side the box with an impact. Thank you for the angle you took – deep solid and simplified. This is a keeper! What gets me angry? People who self – sabotage themselves and complain about the lack of quality in their lives. That makes me angry, too, Diane. Sounds like you’ve stumbled onto a worldview! What a relief, Jeff. World View–I can get into that. My “niche” has limited me for 5 years. With this simple gearshift, things came into focus. Thanks so much! Oh, that’s great to hear, Susan! I’m glad. Onward and upward! Thank you, Jeff! This is a brilliant post and you have just provided the answer I am looking for. I have been struggling to nail down my niche and I have two parts to it. Some people I told me to focus on just one area first but my heart is really for both. But if I apply your idea of ‘world view’, I think it will help me solve my problem. Thank you so much! Great article which aligns with my own perspective and experience. In fact, it is my world view about 21st Century leaders that drives my life’s work…and my business. Having a point of view that can be explained and shared with others helps those you hope to reach align with you and your work. The next step is to give your audience practical usable tools to help them develop the relevant skills and knowledge to achieve their own goals. Firepole Marketing does precisely that. I am assuming that your writing program helps you do that as well. Thanks for the insight. I couldn’t have said it better myself, Marguerite! WOW…nailed it! Thank you. I also thought the “niche” thing was not for me. Thinking and being global, and myself, I can totally comprehend and work with that! Thanks for this timely article! Loved this post. I can even apply it – in my niche. Ha ha. To me, this worldview IS kind of a niche; just a more global one. Thanks for the unique inspiration. You’re right, Patricia. In part, this is mere semantics. But what I fear most people mean when they say “niche” is a group of people. A worldview is not that; it is something that attracts the group of people—it forms it. The cult of Mac did not exist before Apple gave them a reason to. But the worldview of “the world needs beautiful products” did. I like to think of niche as the first problem you solve for people, not superficial but more like the doorway into your deeper and deeper stuff. And I think that’s important to have so that you can get people’s attention and show that you have a real benefit to offer. Seems like this goes right along with defining your worldview. I love your concept of the manifesto. I love that you are focusing on the juice of what each person has to offer – but after seeing lots of juicy people with manifestos get no clients who want to PAY them to DO anything, I’m still a fan of encouraging passionate people to focus on a niche to get those new clients at first… to solve a real problem with a real solution… so that they’re not just another cool-sounding writer. From your many terrific offerings that solve real problems for people, you are clearly doing it!! 🙂 Thanks for all you are giving! That’s a great perspective, Mellissa. I think of that as a worldview, so we may just be thinking in different terms. What I like about a worldview, though, is that what gathers people is the idea, not a specific demographic detail. And a manifesto is a great way to create that initial call to arms. Reaching a worldview instead of a niche, in my opinion, also allows you pivot in other directions in the future, as you mentioned. And thanks for the kind words and encouragement! 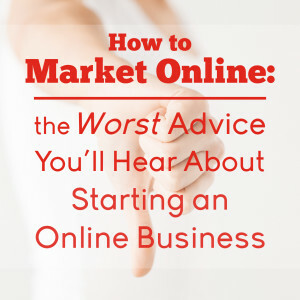 ‘An overcrowded market is a sign of demand…The challenge is how to make yourself stand out in such a market, and figure out how to market yourself online.’ Great stuff! So liberating! Thank you! I wasn’t happy, never have been, with the niche concept. What you said above absolutely makes sense to me. I want to fix the things that I yell at on the screen! Thanks for presenting the worldview to us so well. “What if you wrote for yourself.” Wow. That IS revolutionary, and it changes everything. If I began to write for myself, my own experiences and insights would come to have greater value to me. And if that happened, it would lessen my need to impress anyone with that glimmering genius I’m trying to pretend I have. Instead, the truth in my experiences and insights would cause interaction with the writing, the words, the ideas, and ultimately, readers. And what if, through the honesty of my true self writing to form more of my true self, I gained the courage to live that way? What irks me? Writer’s block and the way that halts every forward motion. The beginnings of a manifesto idea: writing for yourself opens the door to accepting your real self, which then opens up the world. Wow, Sharon. That does sound powerful. Just a thought on writer’s block: maybe it doesn’t exist. Maybe we are the obstacle that gets in our way and giving ourselves permission to do something imperfect at first before getting it right is just what we need to start. Again, just a thought. Keep writing! That IS glimmering genius, right there. I’m printing it out and posting it on my wall. Thank you for sharing. @Jeff Goins, thanks for sparking this discussion. Good stuff. The beauty of niches, to me, is that you don’t need millions of dollars to gain traction. 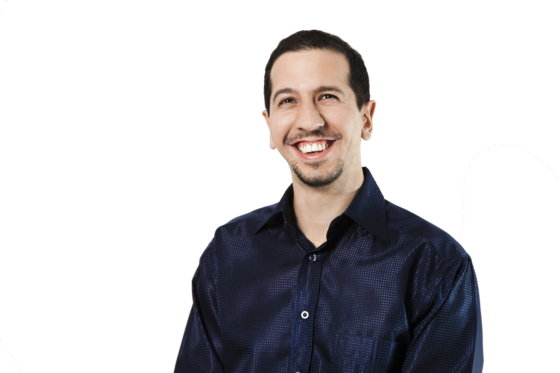 Because you ARE your ideal customer, you can find a right-size market–not so big that it takes years and tons of money to brand yourself, and the odds are against you ever getting to the first page of the search engines. But also, not so small that you can’t earn a living. As you said, though, it is partly a matter of semantics. Looking in the other end of the kaleidoscope might be just the ticket. I admit, I was at first put off by what I perceived as a derogatory tone toward others who talk about niches and your behemoth examples, like Apple. But you’ve given me a fresh seed that seems to be germinating and the lively discussion shows there’s a lot of sprouting going on. Thanks! You’ve inspired me now, and I’m going to print it out and post it as well. I’m so glad it struck a chord for you! Thanks for sharing the anti-niche side of the coin Jeff. I think both the niche and worldwide view have merit and potential. The key to both is honing in on a problem and offering a profitable solution. What makes me mad is that “real book” publishers have held the keys to the kingdom, deciding who’s book will get published and who’s won’t for 100’s of years. People have been brainwashed into imagining they are not good enough, smart enough or rich enough to write a book and get it published. But now they can. Anyone can. I want to help these authors storm the gates and take back the kingdom by writing, publishing and earning big profits from their very own books…on any subject they want! That makes me mad, too, Robert. This is literally the post I’ve been waiting to read for YEARS! Over the long manys, I have fought with business coaches over this subject time and time again. I KNEW that the niche was not the right thing for us, but I didn’t have the words to explain my gut-deep knowing. Here are the words. Thank you, thank you, thank you!!! I have started your exercises and the words are pouring out so freely (and so focused!). Another MAJOR milestone reached. Thanks for the emotive post, Jeff. It’s beautifully written, as usual. But I think you’re waving the wrong end of the stick here. If I consider what irritates or upsets me, I think of why the heck people still want to vote for the Prime Minister we have in New Zealand right now, or that the Orangutans are faced with extinction. However, to choose either of these two topics for blogging would be a disaster in my case. I think it’s a recipe for calamity to start with your gripes when considering what to blog about, instead of choosing a ‘specialized but profitable segment of the market’ – which is also a definition of ‘niche’. I think the key point here is that Danny first chose marketing as a niche. And now, within that niche, he expresses his worldview. The first step is to choose a niche you have a passionate interest in (and that you have researched thoroughly so that you know it can be successful!). And the second step is to articulate what irks you *within* your niche. This gives you a standout position right away. I’m sure your choice of creating a writer’s blog wasn’t just because of some random gripe. You chose it because you are a skilful writer. I think, Mary you’re agreeing with the idea of a worldview… but coming at it from a different angle. A lot of it has to do with how each of us personally defines some of these blogging/marketing terms that get thrown around so much. Specifically, I think while we’re talking about niches and worldviews, we should remember there are also markets… and that may be the cause of some of the confusion here. To me, “fitness” isn’t a niche, it’s a market. Karate for pregnant mothers is a niche. “Cooking” is a market, but gourmet charcoal grill cooking is a niche. In my opinion, a niche very much helps to define yourself and get known. That being said, all the “next-level” bloggers I know have what Jeff is calling a worldview that bleeds through in everything they do within their market and/or niche. Which comes first might be a chicken-and-the-egg discussion, but for sure I buy into the worldview concept. Anyway – an excellent post and a lively discussion. Hi Gary, Hi Mary, Hi Jeff! I like a good debate in the comments too. It still seems like having a niche to get started with is important, as Mary was saying. What would have happened if Apple chose to tout the ‘rebellious visionaries of tomorrow’ worldview without putting it in the context of the young urban niche? That said, I take a little issue with the order of things: I don’t think you choose a topic, then a worldview. I think it’s the other way around. Which, in a way, is what WritetoDone.com is about — it is a a breath of fresh air for writers who want to get their work noticed in often unconventional ways. So do you need a way to express your worldview? A topic, a genre, a niche? Sure. Do you begin with that. No, because it’ll lock you in too quickly and prevent you from making important pivots down the road. There’s a reason the world’s most popular writers and communicators can create content on virtually any topic and people will listen. Think of Stephen King’s memoir or Seth Godin’s rant on public education or David Foster Wallace’s commencement speech, or Tina Fey delivering a talk at Google. None of these are things that we associate with these people — they are one-offs. But because of the power of a worldview, they are able to communicate these messages effectively and powerfully. Is it enough to have just a worldview? Of course not. You must have an excuse to strike up a conversation, just like at a party, but that’s not where you begin. You begin with knowing where you stand and look for opportunities to connect with like-minded people. In my case, I didn’t set out to help other writers. I began with a burden that some of the world’s best stories and messages weren’t getting heard. And those that were being heard weren’t always worth our time. And you can see from my blog that I don’t always talk about writing — and when I don’t, people respond well. What holds the community together is something deeper than a topic. So yes, some of this may be semantics. And we might disagree about the order. But I do think a worldview informs a topic/niche, and both can work together to help you powerfully communicate your message. Which you, Mary, have clearly done. Well the first worst advice I always hear is keeping demotivated on the work I do or rather than other things which make me loose interest on the subject. Really enjoyed this post, Jeff. It’s a very refreshing change from the constant “finding your niche” mantra we hear so often from the online marketing world. Thanks, Kent! I’m glad it connected with you. I absolutely love this, Jeff. When I was thinking of niche ideas, I found myself stuck on that level because I’m really interested in a lot of things. After a lot of time introspecting, I realized that what I ultimately want to do is to write about my writing struggles and experiences, and just hope that my readers will benefit from that. I just feel that I’ll be more helpful that way, rather than spinning my head thinking about breaking into the health and fitness niche or travel niche. Thank you for validating that I’m somehow on the right track. This was one of the very few posts I have ever actually printed out. Thank you, Jeff! I have spent two years thinking about a niche and part of it was on Danny’s Audience Business Masterclass. I defined my ‘one person’ very carefully and it helped me be really precise in what I’m doing. It also gave me clear criteria for deciding what to write, how to write it and on the aesthetic of my website. As it turned out, the people whom I am in fact interesting vary slightly from what I’d planned, and they’re pretty enthusastic, so it goes on changing and getting more and more precise. At the same time, I was always very clear about the values I’m basing my work on, which is a natural, effective and ethical way of educating dogs, with no aversives and as little conditioning/training of artificial behaviour as possible. It is working really well for me. Your post has really encouraged me that my ‘gut’ feeling that I should communicate my true values clearly, was leading me in the right direction. Wow. Thanks, Rosee. That means a lot! The idea resonates. It’s compelling. But it doesn’t seem to actually negate the accepted notion to target a niche. Instead it adds another aspect to the strategy. Apple, for example, was able to leverage the young urban niche to relay their ‘rebel’ worldview message. They made their products all the more enticing because they represented the young, urbanites, who will change the world. And then they sold the best part of that niche (the worldview) to people in all the other niches. Harley Davidson did a similar thing by selling the the best aspect of the ‘biker dude niche’ to other niches. Forty year old businessmen who buy Harleys don’t want to be biker dudes- they want to feel free, and cool, and tough. This comment isn’t meant to negate your proposal about having and leveraging a worldview, because that really does seem affective. But I wouldn’t throw out the accepted wisdom to appeal to a niche either. You may be right, Aaron. Thanks for helping me understand this at a deeper level. Appreciate your perspective very much. The speech I gave at my high school graduation many moons ago was, “Education Influences the World.” As an educator and health coach who definitely has a world view, I keep balking at “the narrower the niche the better.” There are foundational requirements for good health that apply to everyone, Beyond that one must address underlying causes of imbalance peculiar to each individual. An ideal client, on the other hand, would fit a criteria. What are your thoughts on this? I don’t agree that narrower is better, Susanne. But I do think it helps to be specific and focus on what you deeply and wholly believe. That will attract the audience your message deserves. what an utter load of c$%£p. If niches don’t work why do serrvices like srds.com exist? All a niche is really is a market of hungry buyers. You do advocate doing all the market research so +1 for that. I’m sure we’ve all created an excellent business at one point or another just to discover one problem… there’s no market! This is very refreshing to read! I’ve been struggling with who my ideal customer is for a while now (hopefully start a business next year). I’ve gone through a number of niching and market research exercises and part of the criteria for my “ideal customer” is that they have at least a similar worldview to mine. Someone who would respect both the allopathic and the complementary approaches to healthcare, and be ready, willing and able to work with each other for the betterment of their clients’ health. What I see all too often is the allopathic medical establishment balking at the holistic approach; and vice versa. When really, doesn’t every health care pro just want people to be healthier -whether it is done their specific way or not. That, in order to do this most may need nutrients & stress reduction, and some may also still need meds? Why don’t we recognize that all clients are unique, and some things work for one and not all? And what works for someone now, may not serve them well next year. I see a lot of “when all we have in our toolbox is a hammer, every problem starts to look like a nail”. (I guess being trained in both fields has caused a respect for and acknowledgement of the risks and benefits of each school of thought). I guess if we want our worldviews to become a business, we have to be careful about how we blog about them so that we come across as being helpful and not too “preachy”. I would try to be careful that the blog doesn’t become “public journalling” of your own personal opinion on everything. Unless we’re not looking to monetize it. You’re right, Leesa. This isn’t license to preach. It’s an opportunity to invite people into something bigger than them. This article made my heart beat faster! I am a handmade card maker and I am passionate about creating items that people want to keep! I find it upsetting that cards end up in the recycling! That’s such a waste! I like that, Samir. I also think you can carve out that group yourself — sometimes people are waiting for you to lead them. #2. Targeted at like-minded people who can identify with you because you’ve been through the struggles they’re having currently. That’s for giving voice to these points. Take out “novels” and add “content” and it works for blogging too. Amen to that, Tom. I think it totally works for blogging. Online business, too. Interesting post. I agree with the premise while respectfully disagreeing with some of your thoughts on niche. I am a huge advocate, and teacher, of figuring out your worldview and building your business around your “movement.” However, I also feel that a niche can help a person really focus in on how they deliver their worldview and to whom. Choosing a niche has made a huge difference for me in my business. Having said all that, I think, based on what you written, that much likc Christians and Jews may disagree on the surface, both religions, at their essence, teach the same message. I think it is just the way you framed “niche” that is different from how I would frame it even though, at the essence, your message is about finding your tribe by being who you are, taking a stand for what you believe in and creating products and services that will serve that tribe while staying true to your worldview. Good point, Daphne. I think the way you framed this was interesting. Certainly, not all Christians and Jews would say they teach the same message. But I understand what you mean. From the outside, it may seem like niche and worldview are the same thing, and they certainly have some things in common. But I believe a worldview is a more powerful alternative to choosing a niche on which to focus a marketing message. Can you make money with a niche? Absolutely. Are there limitations to it? Undeniably. For a lot of people, and a lot of businesses, what they do isn’t for a specific demographic segment or for even a particular subset of a market. And at the same time, it’s not for everyone. A worldview is more about belief than buying habits. It’s more about values than where you are from or what you do for a living. But yes, what you’re describing sounds more like a worldview than a niche. My contention with the word is that most people seem to want to target an already-existing group instead of forming one. Seth Godin writes in Tribes that there are groups everyone looking for someone to lead them. When you understand your worldview, you become that person. I did not communicate clearly. I did not mean to imply that niche and worldview are the same thing. Rather I was addressing two different aspects of your post: 1) worldview and 2) niche. I also believe very strongly in finding your “worldview” and building a business on that. A niche for me, has helped me tremendously in finding my tribe. But that niche came after getting clear on my worldview. Excellent Jeff! This really sounds like the difference between feeding people what we think they want to hear and sharing what God and life have taught us. What makes me mad is people (especially moms) who get to middle age and give up on their health because they are too busy, too stressed or focus too much on taking care of everyone else. My passion is to age gracefully and be functionally fit so that my daughter doesn’t have to take care of me in my old age–I will! I know there are others who feel the same and need encouragement and ideas. That’s my dream blog that I am in the process of putting together. Thanks for all that you do and for challenging us all to take our passions and experiences and use them for the greater good. What a great post and I have to tell you that I’m doing a happy dance over here reading this post because this is exactly what I did. I fell into what I’m doing accidentally to be honest with you because I was so frustrated with the lack of nice people on the web. No one would help me when I was starting out and I didn’t know who the “gurus” were that I as even suppose to be listening to. Everyone kept saying don’t write for yourself, write for your target audience but what if I am my target audience. Because of this direction I’ve gone they are telling me what they want from me because it’s what I’ve been sharing with them. Did I have a definite plan coming into this? Well kind of but it changed because of this reason so I say it most definitely does work. I’ll be releasing my product in a few month and it’s what my audience has been wanting from me. Thanks for sharing this and confirming this. It’s good to actually hear someone else giving this advice. Love that, Adrienne. Dance away! A good way of identifying a worldview is to complete the statement: Life is like…, and then you can justify people’s actions based on that worldview. Life is like… a game of chess.You have to be many steps ahead of your opponent to win. Life is like… the weather. It can change at any moment, so you have to be prepared for anything. It’s a useful way of defining a group of people – those that think about life in the same way. This post and they extended discussion that’s followed it is a great example of the learning function of computers and the web. People can get together who might not have had a prayer of such insights in their immediate circles. Terrific! For a couple of weeks, I’ve been working on the exercise “One Person” — where you write up the detailed profile of the one ideal person to whom you’d like to market, give your ideas, etc. It’s been a real struggle, and part of the issue is that I’ve felt that I am describing myself. Thank you for giving me permission to do just that! I now think that I can take it one step further and describe my ideal self — what she is like when she is being who she is meant to be and doing what she is meant to do. The idea of speaking to my worldview is very empowering. So, that worldview is that all beings have a soul and have rights. It is our duty to respect them and treat them with dignity and compassion. The manifesto will be expound on this concept, and will focus a lot of the rights of pets, since I am a Pet Wellness Counselor. Jeff, I think I got two great things from this post. First, your polite polemic on niches and why the assumed advice to target one may not be the best way to proceed. Your concept of seeking a particular worldview (one like your own) is a very advanced idea that requires a lot of consideration, so thanks for challenging the status quo. Secondly, I also did like Mary Jaksch’s challenge to the concept of worldview first. It led among subsequent comments to a lively discussion on the differences between the two and I learned quite a bit just by reading everyone’s perspective. I liked this article because it made me think. Even if somebody is using niching, how can they do this without first self-examination, knowing their values and purpose in life–their worldview? I’ve heard it said that a social entrepreneur follows the 3 P’s: people, planet, profit. But some other P’s have been left out: purpose, and pleasure. If it’s not going to be fun and important I’d say don’t do it. For me the Basecamp 37’s development of a software is not a worldview, a belief or a value system, but perhaps a lesser component that derived from one. Once a wolrdview is developed, at least in your examples of yourself and others, it becomes the niche–at least that’s the way I see it. So nothing new has really been expressed here, except maybe the need for initial self-searching. Please tell me how I am wrong in my analysis. Phew, your article made me think…..and I do a lot of thinking….but it did for me what I needed, to bump me out of my recurring circle. That prod did it. Niches Niches Niches every where and my instinct told me that this is not the right answer to a successful business…..as a coach and hypnotherapist I connect with my clients “in their world” and only when that happens, do they change, connect with me and make the transformation they want. Thanks Jeff for this enlightening post. For the past few months I have been to Rome twice. My mind has been opened to the great injustice i.e. global poverty. I was surprised to see that even in rich countries there are also poor people. If I write on “global poverty” isn’t that too broad? I look forward to more advice from you.